That small bump under the skin you just discovered can be concerning, but it’s more than likely a lipoma, a harmless lump of fat tissue. It usually lies between the skin and the muscle, with some cases present within an organ, muscle, or deep in the body. These growths are generally painless and always noncancerous. We will uncover where and how most develop and home remedies for a lipoma natural treatment. A lipoma feels like a rubber ball that can grow under the skin over a period of months or years. Most lipomas are approximately less than two inches in size, but in rare cases, they can grow up to eight inches. Lipomas are present in one out of every 1,000 adults between the ages of 40 and 60 years. Where Does a Lipoma Develop? These annoying little bumps can appear on most parts of the body, primarily on the arms, shoulders, armpits, upper back, upper thighs, and buttocks. Lipomas usually can be felt just under the skin surface, but have been detected deep within the tissue of muscles, shoulders, thighs, or the calf. While the underlying cause of a lipoma development may not be known, many cases appear after a physical injury to the area. The injury itself may not trigger the lump as much as it makes the presence of the lipoma known. Another of the potential lipoma causes could be a genetic hormone, as it can be seen in members of the same family. Certain heredity medical conditions, such as those listed below, can cause more than one lipoma to form. Because the lipomas are rarely dangerous, you may be able to use one of the natural lipoma treatments of home remedies to get rid of the lumps. Try one of the following treatments and learn how to remove a lipoma yourself. The powerful components of apple cider vinegar can help eliminate the lipoma bumps. Create a solution of one to three teaspoons of raw organic apple cider vinegar with one glass of water. Drink this one to three times each day. As it may be a harsh treatment for some, begin with a smaller amount and gradually increase to the suggested amount of mixture. Many herbs can have a purifying effect on the fat tissues of lipomas. 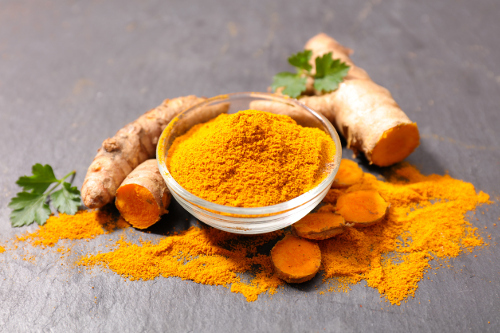 Turmeric powder can be added to water or milk to drink at least once daily, if not twice. You can also use the powder directly on a lipoma, mixing half a teaspoon of turmeric powder with one tablespoon of coconut oil. Apply every night at bedtime and rinse in the morning. Use a carrier oil as turmeric itself can stain your clothing and skin. This herbal plant can reduce the size of the lipoma, as it dissolves the fat deposits of the tissue. Sage is used to balance the fluids within the body, which may be linked to the formation of the lump. Eliminate the fatty tissue deposits with natural products, like raw honey and flour. Mix these two products together to make a thick paste to apply directly on the lipoma. Use a dressing to cover for at least 36 hours. Repeat treatment at least five times. Use the properties of fresh lemon juice to potentially remove the toxins from the body that produce fatty cells. It may help reduce the size of the lipoma. Add to a glass of water or add to flavor meals. Use your favorite cup of green tea to fight the fatty deposits known as lipomas. Drink at least one cup each day to increase your metabolism to burn fat, and possibly eliminate the lipomas. By using chickweed as a tea, the lipoma tumor may be reduced in size. Boil two teaspoons of dried chickweed for 15 minutes. Drink one cup each day. We strive to maintain a healthy diet to have proper functioning of our body. Certain foods may trigger lipoma development. If you suffer from recurring lipomas, try avoiding soy products, foods with MSG, artificial sweeteners, dairy products, and processed foods. The high amount of omega-3 fatty acids in flaxseed oil could be used to dissolve lipomas or at least minimize the growth. Use flaxseed oil topically or orally in food dishes. Castor oil is used to treat various benign growths. Directly apply the oil onto the lipoma and massage in a circular motion before bedtime. As castor oil is greasy, you may want to cover with a dressing or use a towel on the bedding. Apply iodine directly on a lipoma with the use of a cotton swab. Make sure the red liquid is completely dry before moving affected area. Repeat twice each day. Use essential oils of sage, tea tree, and frankincense together as a powerful fighter of lipomas. Mix half a teaspoon of each oil with one tablespoon of a carrier oil. You can use coconut oil, fractionated coconut oil, or castor oil as a carrier. Apply twice each day. Lipoma tumors are small, painless, and benign in most cases. Rare ones that grow large and compress on a nerve would require medical attention and possibly surgery. These lumps are often seen among family members, and can be linked to several heredity health conditions. These fatty tissue deposits may be reduced, if not eliminated, with a lipoma natural treatment. “Natural Cures For Lipoma (Fat Deposits),” Earth Clinic; https://www.earthclinic.com/cures/lipoma.html, last accessed June 27, 2017. “Get Rid Of Lipomas Naturally With These 3 Home Remedies!” David Wolfe; https://www.davidwolfe.com/get-rid-lipomas-naturally-3-remedies/, last accessed June 27, 2017. “Common Herbal Treatments,” Natural Lipoma Remedies; http://naturallipomaremedies.com/common-herbal-treatments-for-lipoma/, last accessed June 27, 2017.